Recently Google has changed the look of its search engine results which is fully live. The changes have affected the paid ads, and title font sizing with underlining. The changes may not seem they directly affect you, but consideration to the full visibility of your title length should ideally be given as titles would have lost come characters because of the font size increasing, however from what I am seeing a standard 65 character length to your title tag seems a safe length to apply. There are are number of title testing tools out there which will give you a preview of your title tag which should help decide if revising your title tag is needed. Just search for "title tag testing tool". 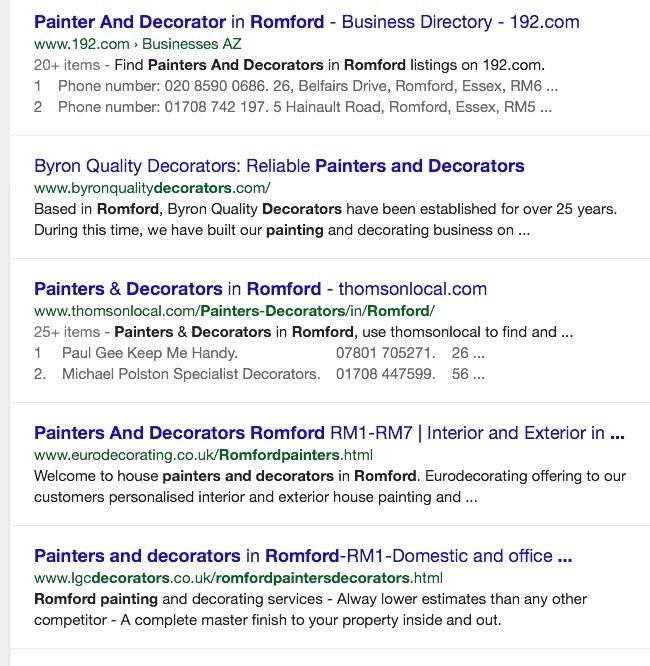 Initially we can see the Adwords results are now highlighted with a yellow "ad" box and have a white background. Previously this was a faded yellow color and did make the paid adverts more distinct from the organic search results, however it looks cleaner and brighter now. Given the new google look, there have been comments regarding characters in title tags being reduced because of font size increases, however a safe estimation is try to write your SEO title tags with 65 - 70 characters for the whole title to show on Google. Take the following screenshot, there are various different ways of writing your SEO page titles, and there is no one way to write these, but ideally you should place your focused keyword at or near the beginning of the title tag, but write the title naturally without plastering it with lots of keywords. We can see each one of the websites listed on first page of a Google for this example phrase have all put the keywords in the title tag and some have their brand name at the end of the title tag which again is another common practice. If you go over the suggested 65 character title tag limit, Google will not show this and add ... At the end. Use brand name at end of url where required.